This Vessel is currently in winter storage. The photograph is provided by the current owner. This owner has maintenance and storage performed by the manufactures dealer. The owner has maintained the boat after daily use and has diligent in keep it in clean. 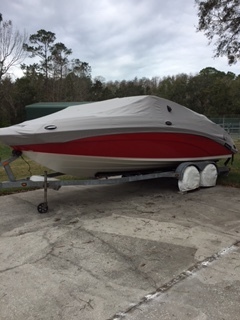 The boat is currently dealer winterized and in storage. 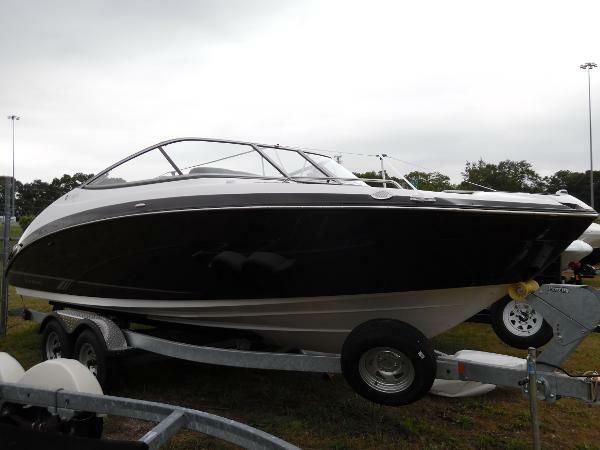 Stock #146791 Great boat and Trailer with the rudder upgrade that has always professionally maintained If you are in the market for a jet boat, look no further than this 2014 Yamaha SX240, just reduced to $39,500 (offers encouraged). 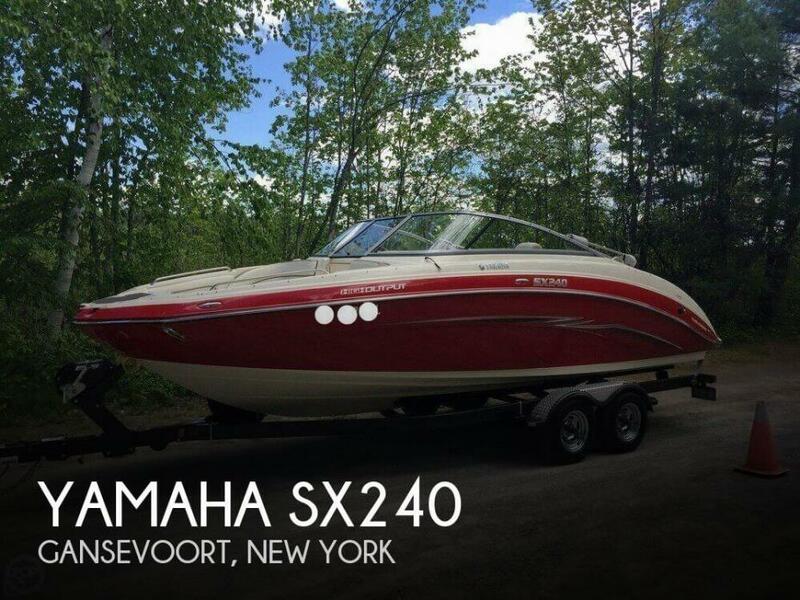 This boat is located in Bolton Landing, New York and is in great condition. She is also equipped with twin Yamaha engines that have only 90 hours. Reason for selling is moving up in size. Overall the boat appears to be in very good condition. It is stored inside a high and dry facility and lightly used. The boat has some docking scrapes on the port side front but they appear to be cosmetic and should clean up using rubbing compound. Per the seller, the "touch" function of the screen does not work consistently and he is unsure of the reason. Stock #151507 Like New 242 SX-240! Very Low Hours On Twin 180HP 1.8 HO Jet Drives! Rack Stored! Original Owner! Trailer Included! Reason for selling is not using. This boat is in great shape, and all equipment is in working order. The engines have low hours and have been properly maintained. The interior is in great condition as is the carpeting and upholstery. The trailer is also in great condition. Stock #123936 Excellent condition SX240! Low hours! Includes life vests, skis, and more! Ready for fun on the water! 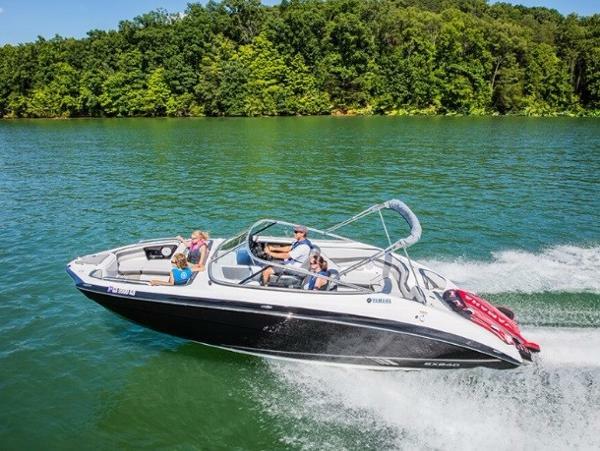 If you are in the market for a jet boat, look no further than this 2011 Yamaha SX240, just reduced to $37,000 (offers encouraged). 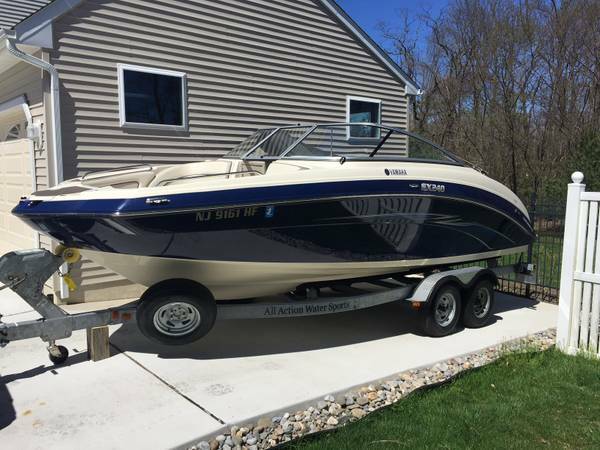 This boat is located in Sharon Hill, Pennsylvania and is in good condition. She is also equipped with twin Yamaha engines that have only 180 hours. Reason for selling is non use. 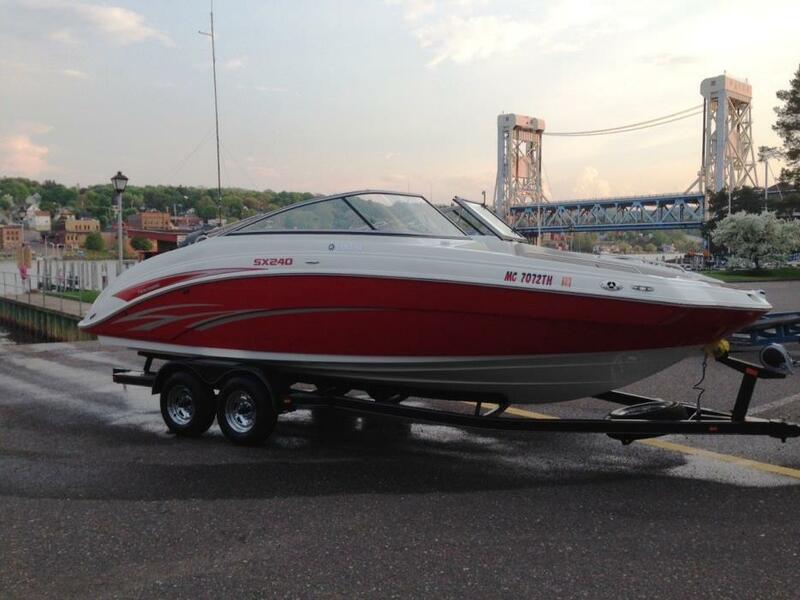 2014 Yamaha SX240 High Output This is beautiful 2014 Yamaha SX240 high output at 23'6. It is a navy blue exterior with a two tone cream interior. This boat simply glides on the water with its twin 1812cc jet engines that max out around 54 mph. We installed thrust vector xv guards to help the boat be more responsive during slow cruising. 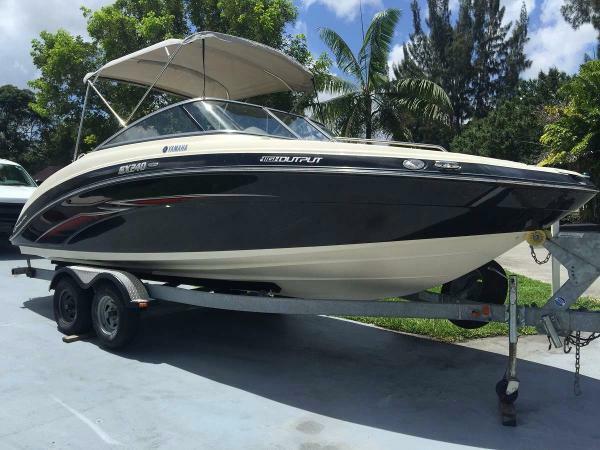 This boat is in great condition with no issues, and is a must see with only 59 hours! Any questions please feel free to ask. 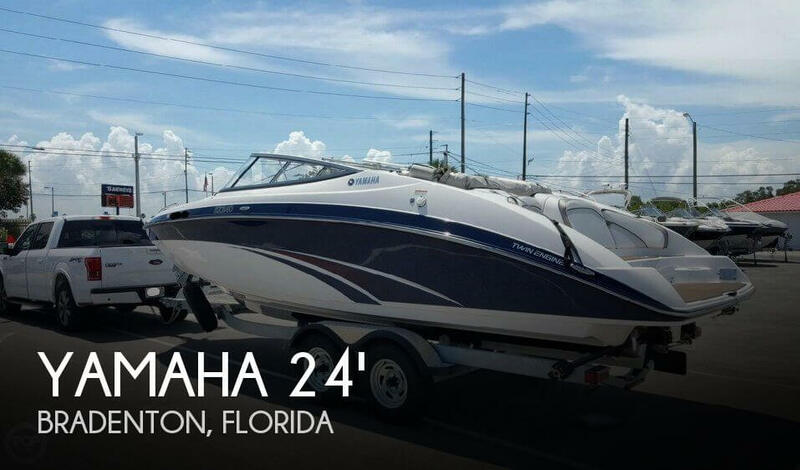 2012 Yamaha SX240 High Output 2012, twin engine jet boat, seats 11, has 80 hours, dual batteries with switch to run on one while youre anchored, bow and stern anchor, am/fm radio and CD player, table that can be set up in the stern seating area or on the wet deck, one set of adult skis, tube, ski rope, tube rope, life jackets, life saver ring, knee board, cooler that fits under the seat, flare gun. Brand new leaf springs on the trailer (x4), brand new jack wheel stand, brand new cover. Washed after every use and engines flushed after every use. Stored on trailer. 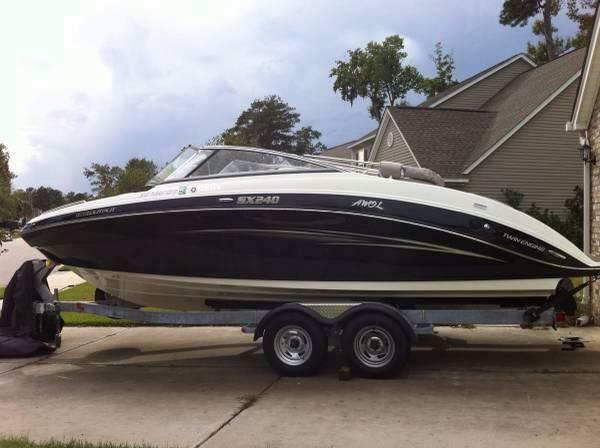 2010 Yamaha SX240 High Output Bought new in 2011 this boat has only been in fresh water. Originally used in Lake Superior was stored inside for three years until moved to Mississippi last year. Very low running hours in the 40's, was serviced last fall. Original owner, has dual batteries with Blue Seas system, upgraded winch. These boats easily carry eight people and have a small enclosed head, movable dining table, ice chest storage and huge over-all storage areas. Set up for skiing, there is lots of room for skis and wakeboards. With the open bow and multiple configurations for lounging or sunbathing it is a great party boat and has lots of room for fishing as well. Also you only need 12" of water to float and can get to areas boats with outdrives can not reach. The enclosed head is a great feature for privacy and changing and greatly entends the time you can spend on the water. Includes tandem axle trailer, bikini canvas top, factory cover, removable carpets and full fiberglass liner. Twin 1.8 litre jet drive motors with 180 hp each, this boat runs 55 mph easily lightly loaded and like all jets, accelerates much faster than prop drives. Easy access to the impellers from the top. 50 gallon tank uses regular gas and is good for a couple days on the water. 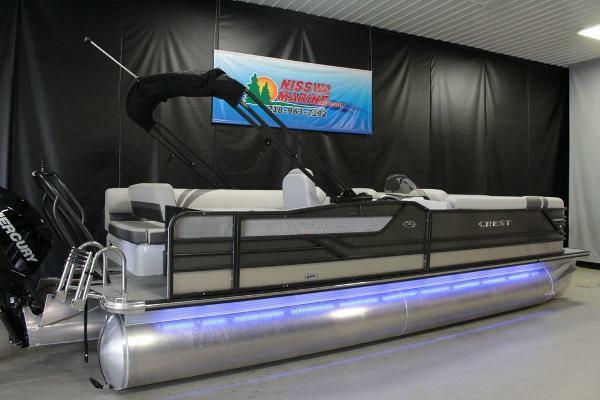 Has full GPS instrumentation, depth finder, cruise control, CD/FM. This is a big, safe boat with high freeboard but has great access to the water from the huge swim platform and ladders front and rear. With the swing away front hitch on the trailer it can fit in a 24' long garage with a standard door! Towing weight is around 5000#, perfect for a half ton truck. Compare to new for $50K plus, this boat is like new and handling the jets just takes a little practice if you are coming from a prop boat, it is more like and inboard than anything else, original operating DVD included. 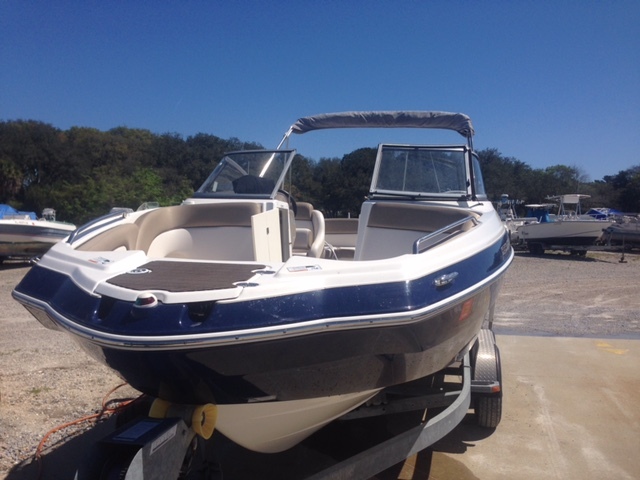 These Yamahas are the complete package and this one is nearly new and ready for the water. No Brokers please, will demonstrate on Lake Okatibbee for purchaser if desired. Funds and clear title to be exchanged at Citizens National Bank with confirmation of funds. Trailer is Michigan permanent tag. 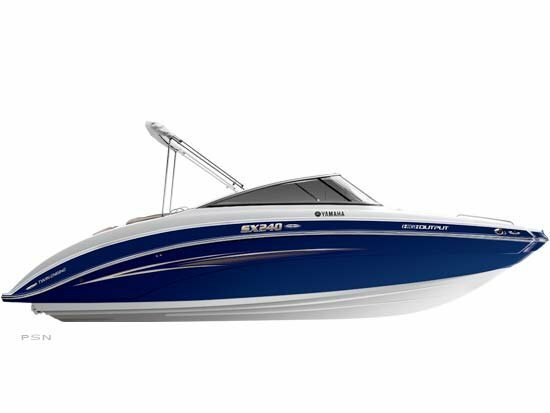 2012 Yamaha SX240 HO The Yamaha SX240 is tailor made for family fun. From the versatile bow seating to the innovative stern patio. Yamaha has been hard at work lately. 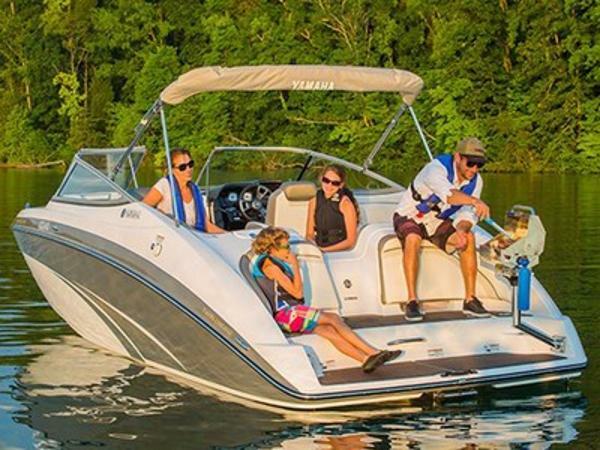 One of their latest offering is the SX240 High Output and its just the ticket for getting families back into boating. All the ingredients are there, safety, comfort, Yamaha handling and that Yamaha sporty look. Its also got the horses to handle your need for speed that keeps the excitement on the cutting edge.